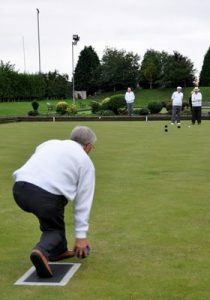 The West Kent Provincial Bowls Section has been in existence for several years now. The aim is to provide regular enjoyment for Masonic bowlers, their friends and wives, Masonic and non Masonic. Currently there are around 32 members of the Section which includes 10 women. Only mixed games will be played this season. There is no home ground and therefore all games are played on an away basis. However, as a number of members play for Hesketh Park in Dartford, that ground is available if required for home games. There are 8 games arranged for this year starting on the 6th May. The games this year are reasonably local with the furthest being at Rochester. The fixtures we play are within Kent, but last year we represented the Province at a National Masonic competition in Northants finishing 6th out of the 24 entries. In September this year we entered a team in an inter Province charity day held in Harrow North London, coming second. Some of our officers will probably change this year, but we will still be playing these fixtures, and will welcome anyone wishing to join our club; we have had 5 new people join this year to keep our numbers in a healthy situation. The Section is now in a strong position in terms of membership and it is anticipated that it is the right time to expand the activity of the Section. New members are most welcome so please email either Richard Amess or Vic Emson.